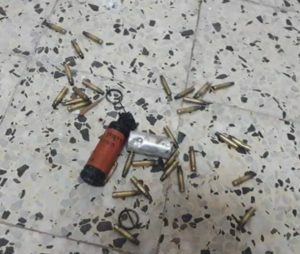 Israeli soldiers shot, on Sunday at dawn, a young Palestinian man after invading his home and firing many live rounds and concussion grenades inside the property in Nahhalin town, west of Bethlehem, in the occupied West Bank. Sobhi Zeidan, the head of Nahhalin Local Council, said dozens of soldiers invaded the town, before breaking into the home of Noureddin Mohammad Shakarna, 20, in Asfoura area, while firing live rounds, concussion grenades and gas bombs at random, inside the property. 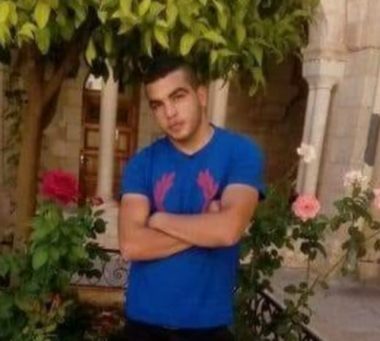 Zeidan added that the soldiers shot Shakarna with a live round in his pelvis before he was rushed to Bethlehem Arab Society for Rehabilitation, in Beit Jala nearby city, suffering moderate wounds. 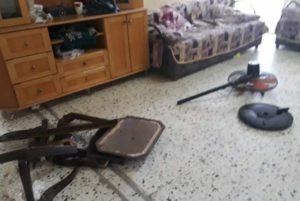 Zeidan also said that the soldiers caused excessive damage in the property, smashed doors and fired many live rounds at its inner walls and furniture. It is worth mentioning that the soldiers also abducted Ali Khaled Najajra, 16, and Saif Ahmad Najajra, 17, after storming their families’ homes and ransacking them in the town.